If you’re a regular online casino user, the likelihood is you’ve heard of mobile casino apps. Casino apps are becoming more and more widespread with many UK online casinos entering the mobile casino market. There are pros and cons of using your mobile to play casino games, some players are a huge fan of this type of play, others are not. In the digital age that we live in, apps are paving the way for the move from desktop to mobile. 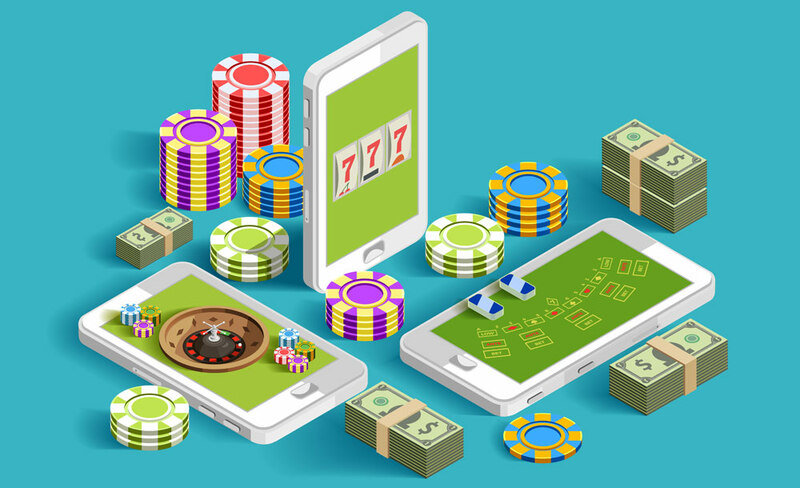 Some players can be sceptical about using apps to play casino games with real money, after all, winning money on a mobile device is a relatively new concept. With the app market booming, it is no surprise that casinos have taken the move to the mobile casino market. One issue with apps however, are the private information that they often request from users. Some users can get disgruntled when an app asks for access to their contacts, camera, or photos, and for good reason. It can be argued that mobile apps compromise your privacy significantly more than desktop based programs or websites. The ability to play casino games anywhere. This means that you can play if you’re waiting for the bus or you are sat having lunch. The graphics and playability are sometimes better than desktop versions of popular games. Some apps will have additional bonuses for players that are not found on the desktop version of the casino. The privacy requests that app providers often make mandatory when downloading particular apps. The lack of availability of casino apps over different platforms. For example, iOS users can usually access real money casino apps with ease, while Android users cannot. Due to restrictions placed on the app store for Android users, real money casino apps are banned from the app store. This means usually the only apps that can be accessed by android users through the app store are play money casino apps, unless they download the app directly from the online casino itself. The selection of games available on casino apps if often far less than on the desktop casino website. Many online casinos are working to rectify this however. The ability to manage privacy settings more easily. This also applies to desktop based apps, desktop privacy is generally much easier to control compared to mobile apps. A bigger selection of games. The desktop version of an online casino provides everything that the casino has to offer. Mobile casinos on the other hand are much more limiting. Playing on a desktop means that players experience the online games as they were made to be experienced. Although many mobile casinos do optimise their games for mobile play, it can be difficult to see everything on a small mobile screen. This is particularly true in regards to slots and changing the bet amounts. Playing on a desktop does not offer the flexibility that mobile casinos do. This means you are restricted to playing at home, or carrying a laptop around. Having to use a different device to play casino games when you are a regular mobile app user. Missing out on exclusive bonuses that are offered to mobile casino players. The mobile casino market is rapidly growing and many UK online casinos are investing in their apps. This means that apps are only going to get better, and probably become even more popular. The convenience factor of mobile gaming cannot be denied, particularly when it comes to sports betting. The introduction of real money casino apps has made sports betting more sociable and convenient. For example, betting on a sports event with friend can be easily done with a mobile app as opposed to having to visit a bookmakers. This is particularly the case in regards to in-play bets, the mobile app is undeniably better than desktop casinos in this respect. Although the market is growing and is probably set to change the way casinos operate in future, there are still concerns in regards to privacy, playability, and reliability. This means that casino operators have some work to do before they get every online casino player onboard.